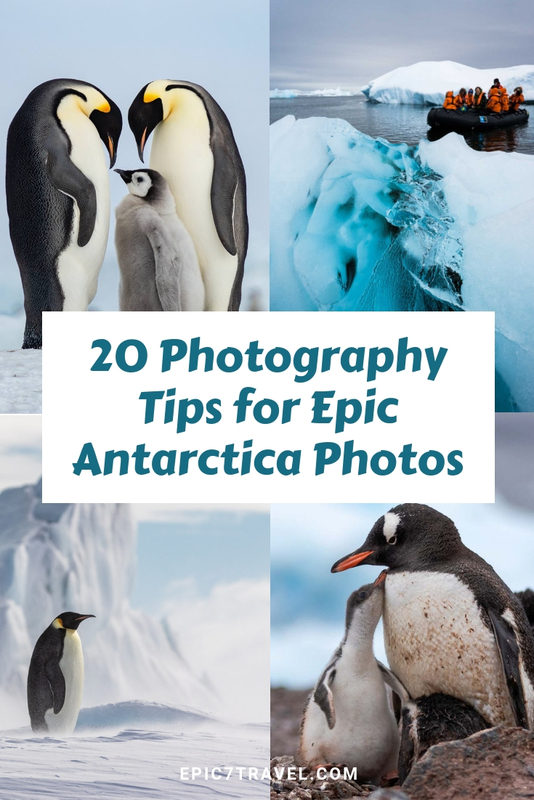 Having been fortunate to visit Antarctica twice now during two different seasons and perfect my photographic approach, here are my 20 best Antarctica photography tips for epic photos. While wildlife, behaviors and icescapes will differ depending on the time of year, Antarctica will be the most memorable experience of your life. The curious and fearless animals will amuse, amaze and touch you in innumerable ways. Learn more about the unforgettable things you can expect in Antarctica. 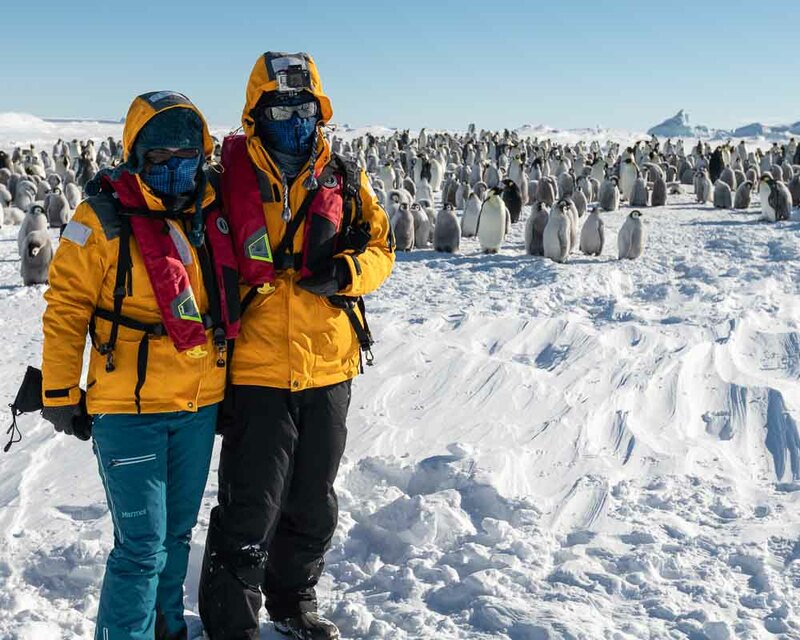 Use these tips and tricks to bring the Antarctica experience, beauty and colors to life as you share this once in a lifetime experience with friends and family back home. I hope you also find my guidance helpful to select and pack your camera gear for Antarctica. If you are heading elsewhere in the world, check out some of my other travel photography tips. Getting at eye level (or preferably lower) with wildlife draws people into your photos and helps the animals get comfortable with you while unlocking their curiosity. Who would have thought that the best way to get a close encounter is simply sitting down and getting “short”? The caveat to this is waterproof pants and jackets become wardrobe necessities. They’ll keep you dry and warm all day long – and your inner child may even relish rolling around in the dirt and/or snow. Well, hopefully it’s dirt you’re laying in… Depending on the time of year, there might be more rocks and poo than dirt or snow. I’d pick snow over dirt any day as it’s definitely more photogenic and less smelly! Don’t worry though as you’ll get sprayed down when you re-board the ship and be as good as new. Leaving your camera in your bag and immersing and observing when you arrive at each landing is one of the greatest gifts you can give yourself. Not only will you fall in love with the wildlife, but you’ll begin to understand the movements that signal behaviors you want to capture. 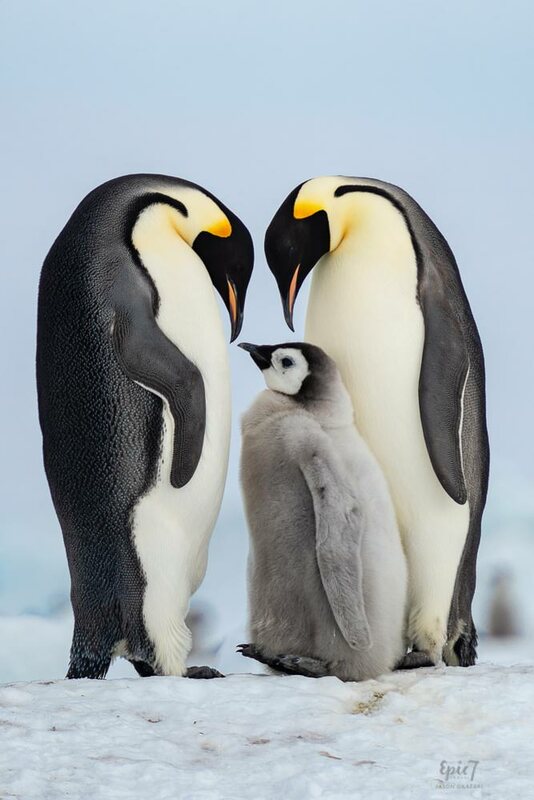 While in Snow Hill Island, Antarctica, photographing a loving trio with two parents and a chick ranked as one of our most coveted shots. However, capturing this proved more challenging than we had anticipated. Since we visited late in the season, one or both parents were often out at sea feeding to fatten the chicks up. TIP: Opt for a shallow depth of field (F5.6 or less) to focus attention on your subject and blur out any distractions behind. 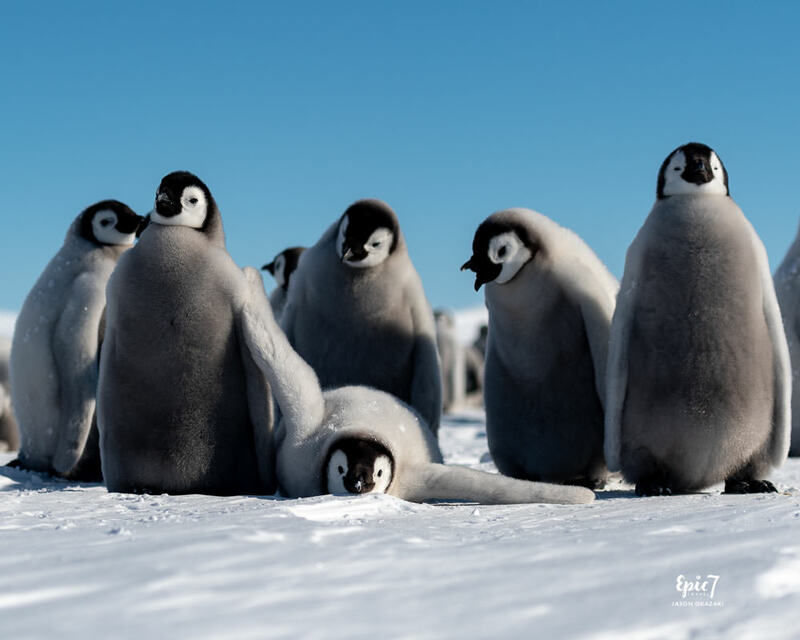 After identifying a trio, you’ll chuckle as you struggle to isolate them from the thousands of other penguins always present in the foreground or background. On top of the sheer numbers, “photobombers” seem to waddle or toboggan across JUST as the critical moment is happening. So, just be patient and enjoy the show in the interim. As I waited for things to clear, I carefully watched the parent/chick interactions and noted a pattern where one adult’s head would drop, followed by the other parent 30 – 60 seconds later. During that time, the chick would be looking at them adoringly, chirping to be fed. During my first visit to Antarctica, I couldn’t get my camera out of my bag fast enough and spent most of the trip behind my lens. 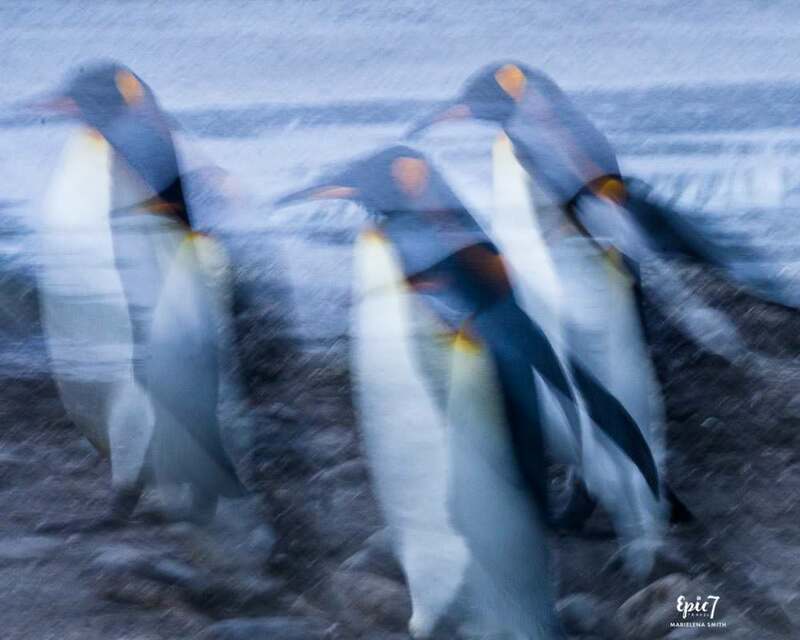 While intently focusing on capturing a shot in the distance, I didn’t realize three King penguins had wandered over and surrounded me. Only after my husband alerted me to this fact did I sit down and relish the moment. On my second trip, observing proved both rewarding and heartwarming. Rather than waiting to get lucky with the coveted moments, I would watch behaviors and be able to predict what was about to happen. Patiently waiting to frame that precious interaction against my desired backdrop resulted in Antarctica images of which I’m extremely proud. As you sit admiring the jaw-dropping scenes, think about what attracted you as well as the emotion that it evokes in you. When people are admiring your images, do you want them to feel the delicate snowflakes falling, hear the powerful winds howling or admire the vast landscape’s ethereal quality? 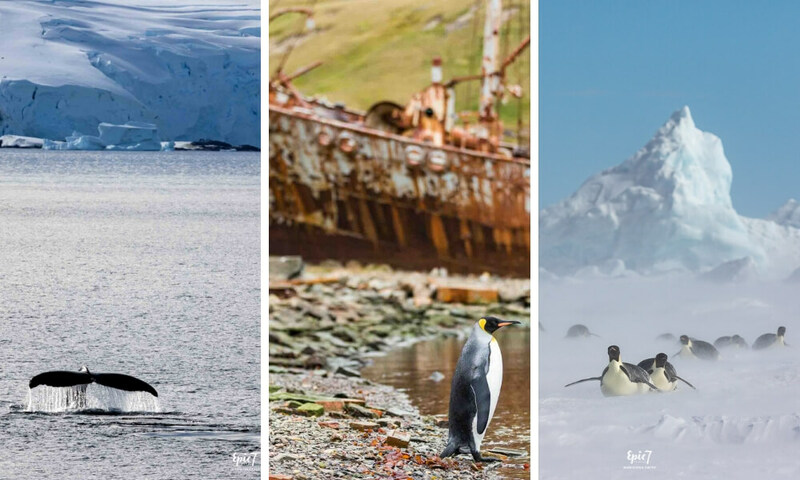 By stepping back and taking the time to frame your images in a meaningful way, you’ll elevate your pictures of Antarctica beyond snapshots that merely document the scene. Rather than thinking of your subject in terms of a noun such as an iceberg, reframe it in your mind to capture how spectacular, expansive, serene or grand it is. The first time I saw whales, I zoomed in on them, clicking off hundreds of shots. In looking at those pictures later though, I realized that the whales looked great, but they could have been anywhere in the world. It’s a big world so take time to zoom out sometimes. Transport people to the spectacular location and provide them with a frame of reference. Since whales and seals can be seen throughout the world, differentiate your photo from an animal pictured in Alaska, South Africa or Mexico. Another great example of this is utilizing Antarctica’s penguins to provide perspective. Use tobogganing penguins to show scale by framing them in front of an ice sculpture. This allows viewers to appreciate how vast and grand the Antarctic landscapes are. You’ll find that the phrase “a picture is worth a thousand words” rings true in Antarctica. 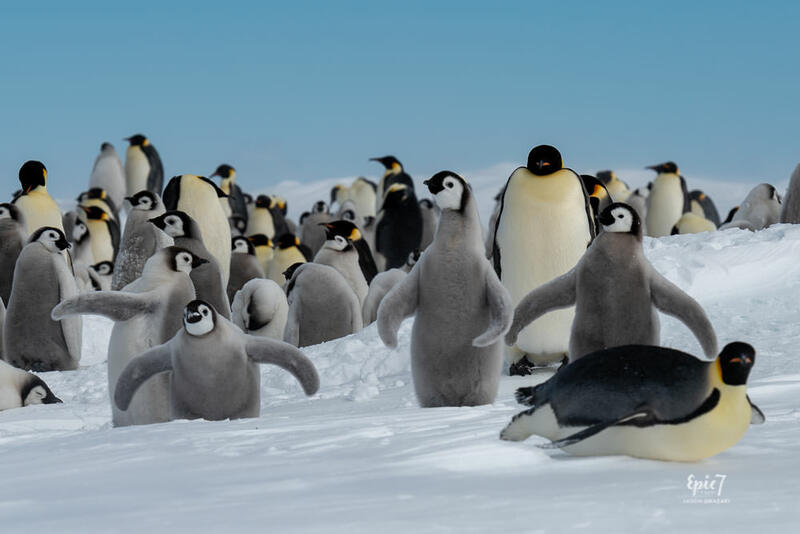 When describing the conditions we encountered and traversed to reach the Snow Hill Island Emperor penguin colony, I used superlatives such as remote, challenging, frigid and isolated. However, I found an aerial helicopter view of our Russian Icebreaker, the Kapitan Khlebnikov, breaking through the ice most effective in conveying just how epic and pristine the location is. While I’m a timelapse newbie, it’s a brilliant way to capture any constantly changing scene. After meeting and being inspired by Matt Vandeputte in Sydney, Australia, I’ve really enjoyed experimenting with this approach on my iPhone. Showing your ship effortlessly plowing through the ice or recording penguins clumsily waddling about the colony, feeding their chicks or building nests will enrapture your viewers. Given all of today’s technologies, you can use your iPhone, a GoPro or your camera to capture timelapse. My biggest regret is that I didn’t record a lengthy timelapse of the Emperor Penguin colony at Snow Hill Island. Perhaps I’ll return again someday and get another chance. TIP: Invest in a JOBY Gorillapod for your smartphone or Go Pro so that you can mount it on the front of the boat or leave it planted in the snow to capture the penguins’ hilarious antics. They might even come in extra close to investigate the camera. Be aware that smartphones die VERY quickly in extremely cold weather. When we were in Snow Hill Island with bone-chilling -10F/-23C temperatures, my phone died after five minutes! TIP: If you plan to use your phone to capture pictures in frigid conditions, make sure to keep it in an inner pocket to keep it warm (perhaps with a handwarmer) and bring a brick charger along to recharge it. Landing on a beach with 250,000 King Penguins in South Georgia is an awe-inspiring scene that will take some time for your brain to register (but not your nose). While I initially opted for a number of single photos, I didn’t feel as if they encapsulated the scale and vastness appropriately. Switching to panoramic mode on my Sony enabled me to convey the density and concentration of the colony. Capturing the beach, mountains and hillsides allowed me to show that the penguins spread as far as the eye could see. And, I got lucky that a skua was stalking the colony from above as I photographed. 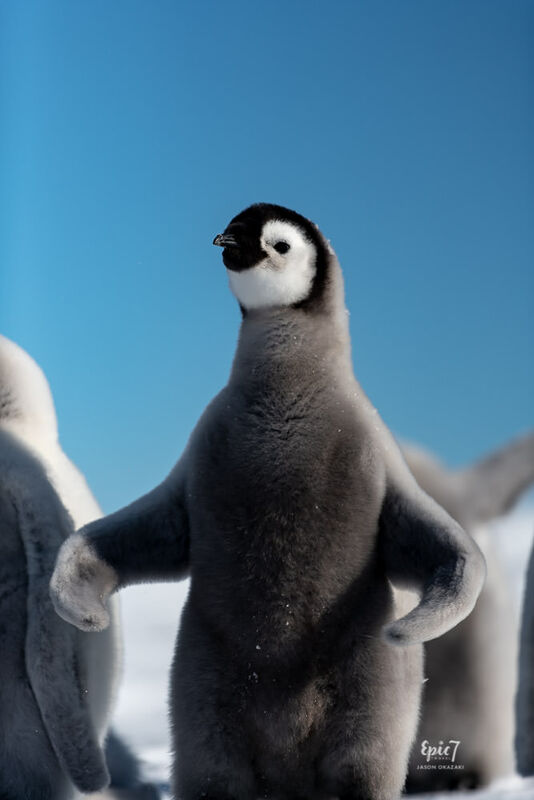 Luckily, most Antarctic wildlife is fearless and curious. Since you’ll spend a lot of your time crouched down while wearing a brightly colored jacket, you’ll likely attract the attention of one or more brave penguins. 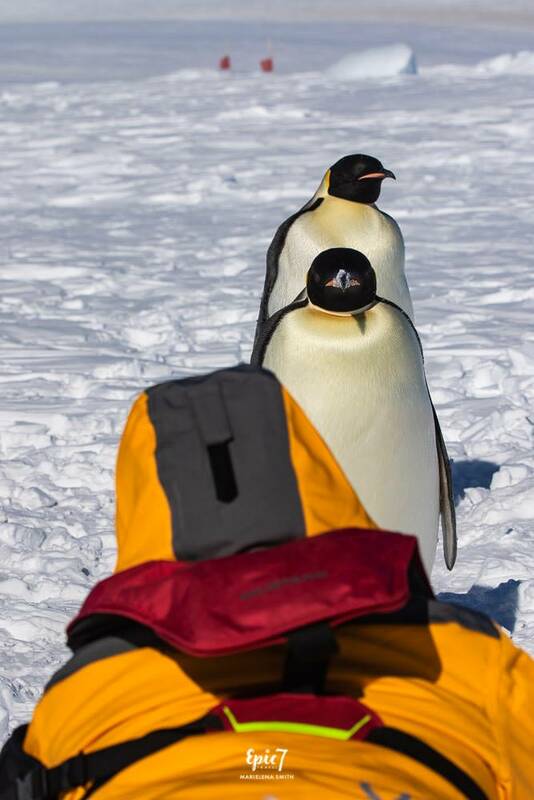 To maximize your flexibility for penguins both near and far, bring two camera bodies to capture both wide angle and zoom imagery. Due to sand, snow and rain, I don’t recommend you change lenses while on shore. Also, the situations often shift so quickly that you will miss the “moment” if you are frantically swapping lenses. A 12 – 24 mm or 16 – 35 mm wide-angle set up enables you to photograph the overall Antarctic scene, wildlife density and colors. It also gives you flexibility with penguins that get up close and personal. Then, your zoom lens (70-200mm or 100-400mm), allows you to isolate and focus on details or close the distance on more shy animals without moving. Given the constant movement and minimum distances you keep from the animals, a telephoto will be your focal length of choice most often. TIP: If you have a 1.4x extender, I recommend bringing it along to extend your reach. I found this incredibly helpful amongst larger Emperor Penguin colonies in Snow Hill Island, King Penguin colonies in South Georgia and for seals lounging on icebergs. Since you only lose one stop of light with a 1.4x extender, I prefer these to a 2x extender, which results in the loss of two stops of light. (i.e. if you are shooting a 2.8 lens, the largest aperture you can use is 4.0 with a 1.4x and 5.6 with a 2.0x). This is usually only an issue in low light situations around sunrise and sunset as you will often be shooting F 5.6 – 11.0. TIP: To minimize shoulder and neck fatigue and evenly distribute the weight, I highly recommend using a Black Rapid Double Camera Harness to carry two bodies at once. After seeing other Antarctic photographers use these on our first Antarctica trip, we found them to be game-changers for our second trip for shooting on land and from our ship’s bow. Also, if you need to trudge some distance through snow as we did at Snow Hill Island, I recommend keeping your cameras in your backpack until you arrive at the colony in case you fall, which I did MANY times. After extensive research, this Mindshift Backlight 26L is my new favorite camera backpack to carry two bodies set up. It’s small enough to carry-on the plane and has a laptop pocket. And, keep your cameras in your dry bag until your zodiac lands on the beaches since they are often wet landings with water up to your knees or splashing waves. 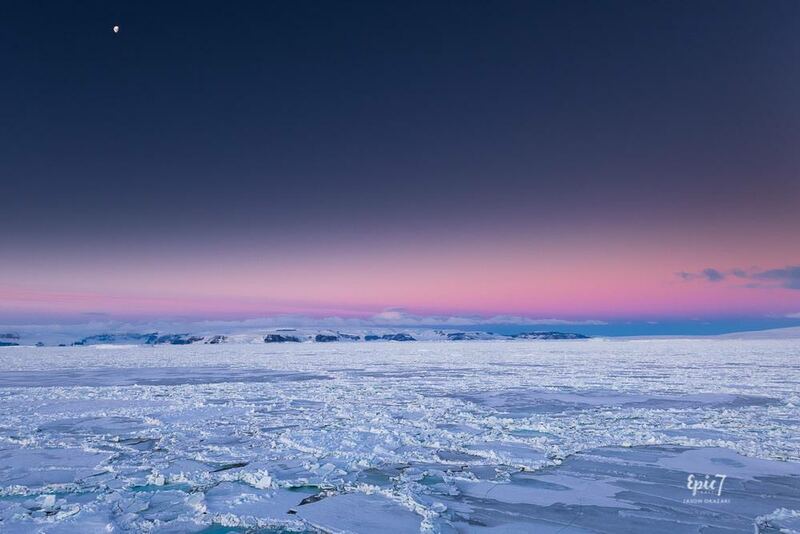 Given how calming and mesmerizing I find the different shades of blue, I found myself enraptured with the gradients and colors showcased throughout Antarctica. To maximize contrast within the brilliant blue skies and hone in on the spectacular variations shining through the icebergs, use a circular polarizer to bring them to life. Since you will lose 1 – 1.5 stops of light when using a polarizer, you will need to adjust your camera settings to compensate. You can opt for a wider aperture (smaller number f 4.0/f 5.6) to let more light in or a slower shutter speed to compensate. TIP: Make sure you are at a 90 degree angle to the sun when using it and rotate it to see how the clouds “pop”. To realize the benefits, avoid shooting directly into the sun or when light is directly behind you. 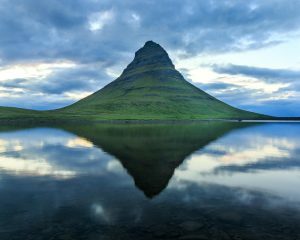 Since polarizers are intended to eliminate glare and reflection, when photographing serene iceberg reflections mirrored in still water, make sure you rotate the polarizer or remove it so that the reflections in your Antarctic photography are visible. Experimenting with slower shutter speeds and panning to convey movement and energy can become addicting. Since penguins are constantly waddling about, clumsily face-planting and smacking one another like the three stooges, you won’t be at a loss for subject matter. It’s best to try this during sunrise shoots when the light is softer. During harsh mid-day light, achieving slower shutter speeds without blowing out the scene (making it too bright) is nearly impossible without a 10 stop Neutral Density filter. Since I wanted to capture a super artsy abstract ethereal photo, I opted for an extremely slow shutter speed (1/3 sec) and hand-held my camera. Mother Nature’s masterful art is ever-present in Antarctica. 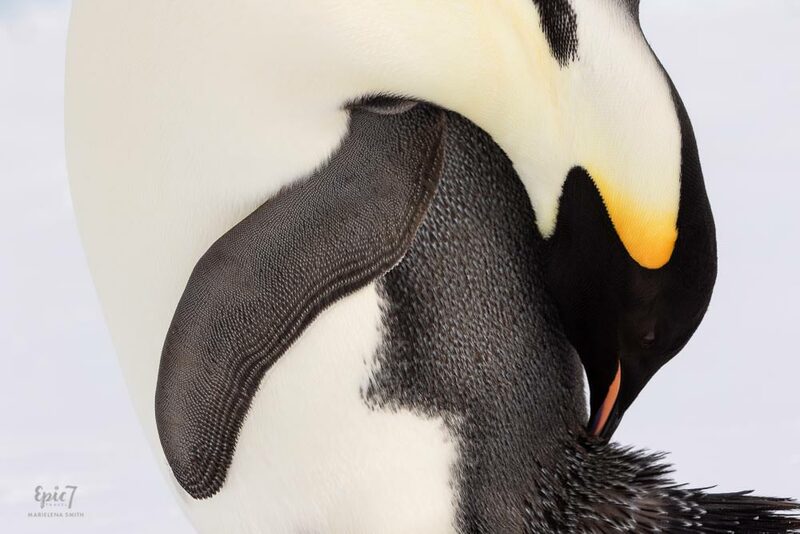 Showcase the penguins’ necks and elegant wing lines, their gnarled looking feet or their spiky tails by zooming in and isolating these characteristics. Photographing delicate footprints in the snow or tracks leading from an ice hole takes people on an unexpected Antarctica photo journey. Wait patiently for the light and get down low to photograph them preening, telescoping their necks, or rocking back on their feet to keep warm. Find creative ways to show their feathers’ beautiful gradients and design or their chests’ iridescent sheen. The Drake’s Passage reputation for relentless and powerful waves dominates people’s perceptions, making some hesitant to travel to Antarctica. 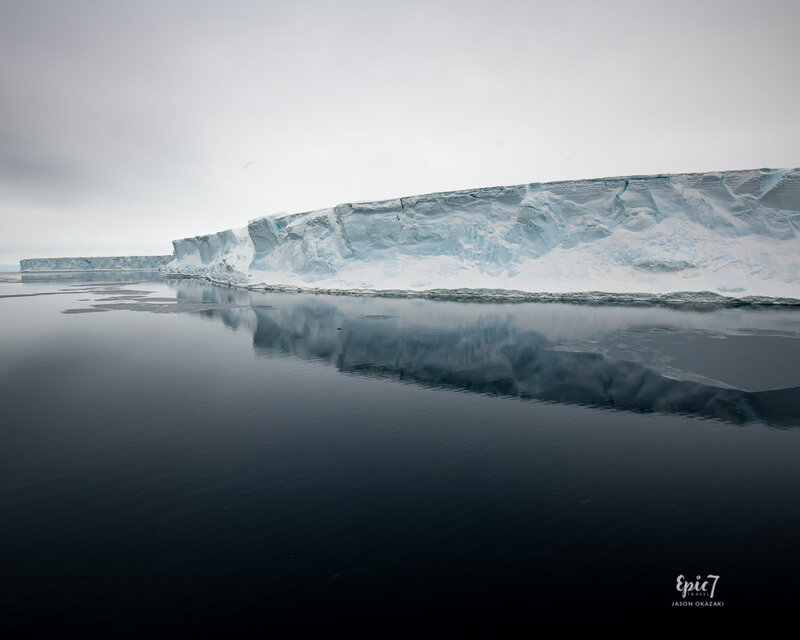 Since many hear stories of ships being tossed around like toy boats, counter those ideas and photograph peaceful iceberg reflections on the Antarctic peninsula. Given that I was profoundly struck by Antarctica’s silence and serenity, I wanted to photograph the calm corollary to the Drake’s Passage fury. 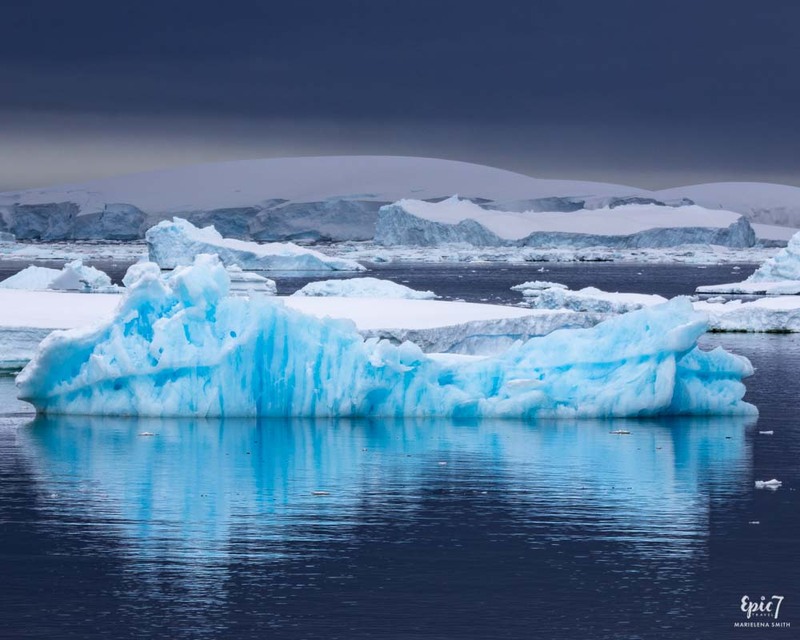 Although Antarctic waters are often choppy due to wind and currents, glassy instances will appear unexpectedly. 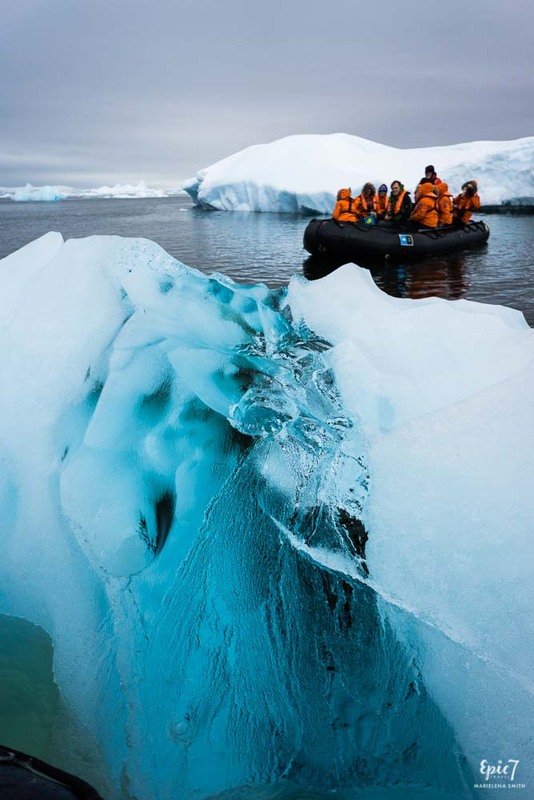 Maximizing your time outside on the bow will increase your chances of witnessing these pristine conditions, perhaps even treating you to a glimpse of the massive iceberg lurking beneath the surface. 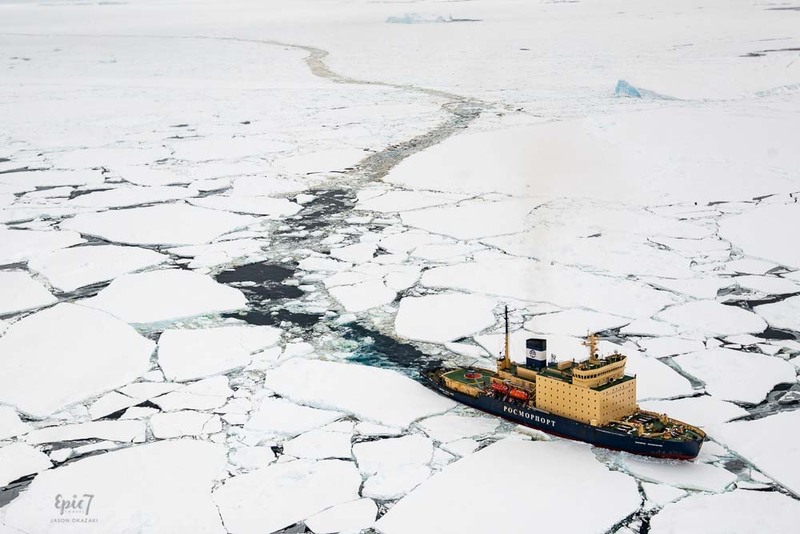 Transferring from the main ship to the beaches is part of most Antarctica cruise adventures. Your excitement will build as you glimpse the scenes and wildlife in the distance. To move from the main ship to the landing sites, you’ll board inflatable zodiac rafts with 8-10 other people, passing your camera gear to an expedition leader before you step on. To distribute weight, all bags are placed in the center of the zodiac at everyone’s feet. Since water, snow and dirt accumulate here, dry bags are critical for keeping your valuable camera gear safe. We loved this large backpack style dry bag. Beach landing conditions vary considerably. Sometimes it’s calm. Other times, chop and surge result in waves crashing over the zodiac’s bow. Disembarking is known as a “wet landing,” meaning that you might be in knee high water when you toss your legs over the side and slide off the zodiac. Fortunately, your waterproof pants, jacket and knee-high boots will keep you dry. The dry bag provides additional insurance and similar protection for your precious camera equipment. 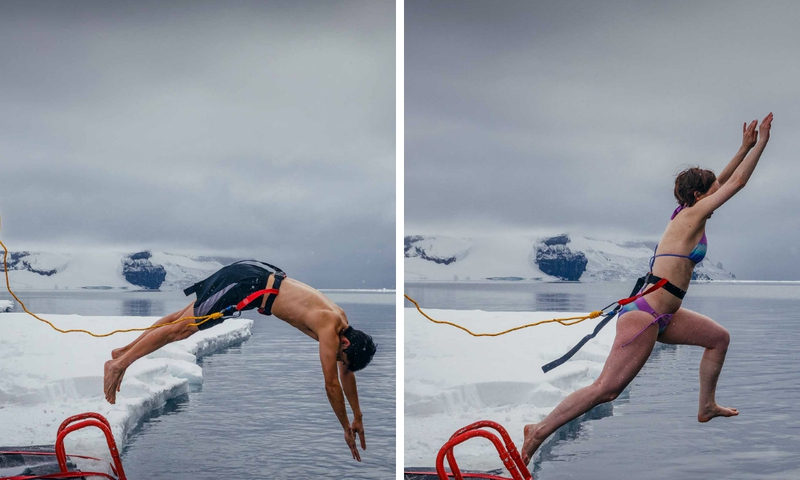 If you opt to jump into the frigid Antarctic waters (which I highly recommend), bring a Go Pro on a selfie stick to document your memorable polar plunge and the hilarious reaction you will definitely have. TIP: If your ship has a sauna, go in there after to warm up! And, rather than risking losing or damaging your camera while kayaking, bring a GoPro (the perfect waterproof camera for Antarctica) with you to video you and your companion paddling around amongst the ice. Hope for whales tail lobbing, penguins porpoising or seals peering at you from bergy bits. Having the flexibility to capture an underwater perspective is an added bonus. While most of us are trying to avoid having people complicating our scenes, the bright jackets that most boats provide can provide stunning visual contrast. 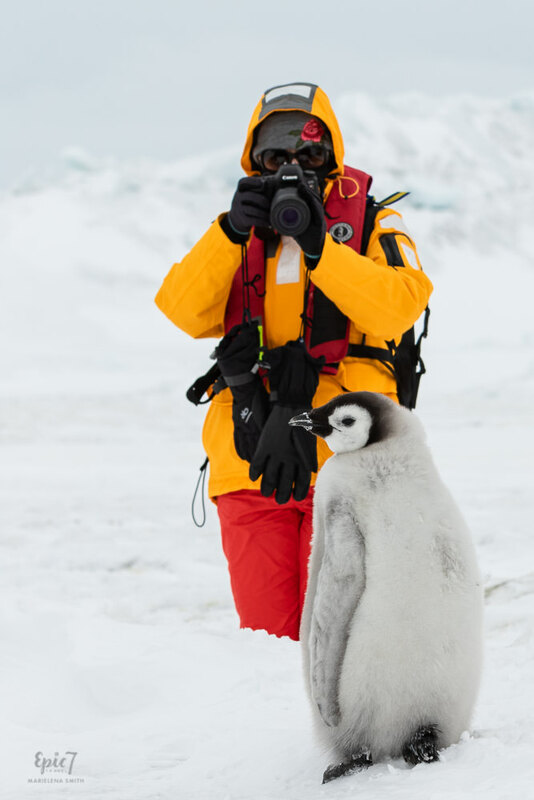 Since people are typically wearing highly visible orange, yellow or red jackets issued by the expedition so that crew members can easily spot them, isolate someone standing amongst the colony or against an epic backdrop to draw people into the scene. If you are visiting during high season (December – January), you’ll be graced with 24 hours of light. If you journey to Antarctica earlier or later in the season, days will be a bit shorter. Regardless, be ready for some incredible colors and scenes. By using a 2 Stop or 3 Stop Graduated Neutral Density (ND) Filter, you can highlight the clouds and colors. TIP: If you don’t have an ND filter to use in the field, you can apply it in Lightroom in post-processing. When confronted with bright snow and polarized sunglasses, you’ll find it impossible to see your screen and determine if your image is properly exposed. 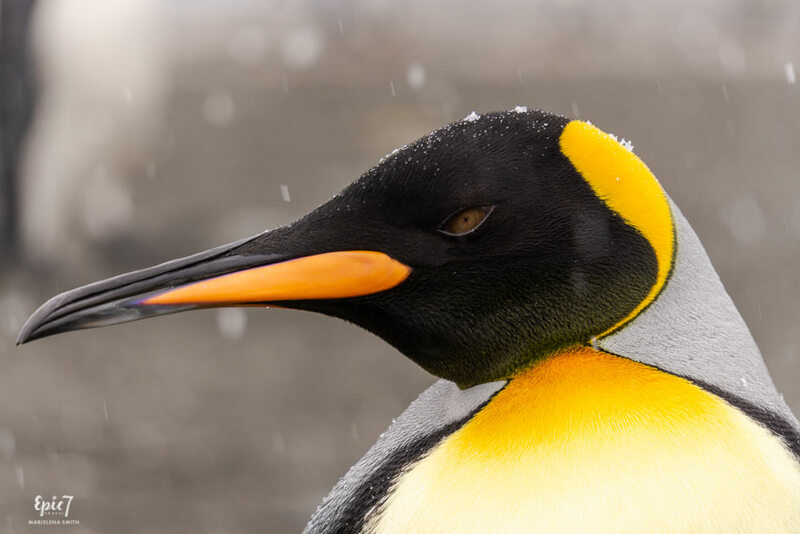 Given that your scenes are dominated by blacks and whites as a result of the penguins’ coloring and the snow, your camera will have a tendency to expose the image as grey. To counter this, I used my camera’s histogram to confirm I was capturing the details in the snow and the penguins’ feathers and exposed 1-2 stops brighter, ensuring that I didn’t clip any highlights. TIP: If your histogram is touching the far right, you’ve clipped your highlights. When photographing, you will often take off your bulky, insulated gloves to manipulate your camera controls. Wearing a thin liner under your larger glove ensures your dominant hand is still protected. I’d estimate that my big glove was off my right hand 75% of the time. When it got cold, I’d stick my hand into my pocket with a hand warmer to defrost it and then resume shooting. Since your liner and/or your main glove may get wet during landings, bring two pairs to ensure you always have a dry pair available. On our first trip, we collectively shot 10,000 Antarctica images over three weeks. On our second trip, despite believing we were being more selective, we shot 6,000 images in six days. Frigid temperatures, howling winds, video recording or continuous shooting can quickly drain your battery. Given that shore excursions often last from two to four hours, bring at least one to two extra batteries with you. TIP: Since you’ll likely have on a down jacket underneath your waterproof layer, put the batteries in the down jacket’s chest pocket to keep them warm. To protect your phone from the elements, invest in a simple waterproof case. Since I found my pockets difficult to access with bulky gloves and wanted to minimize the chance of me dropping it in penguin poo, having it around my neck and under my down jacket proved ideal. 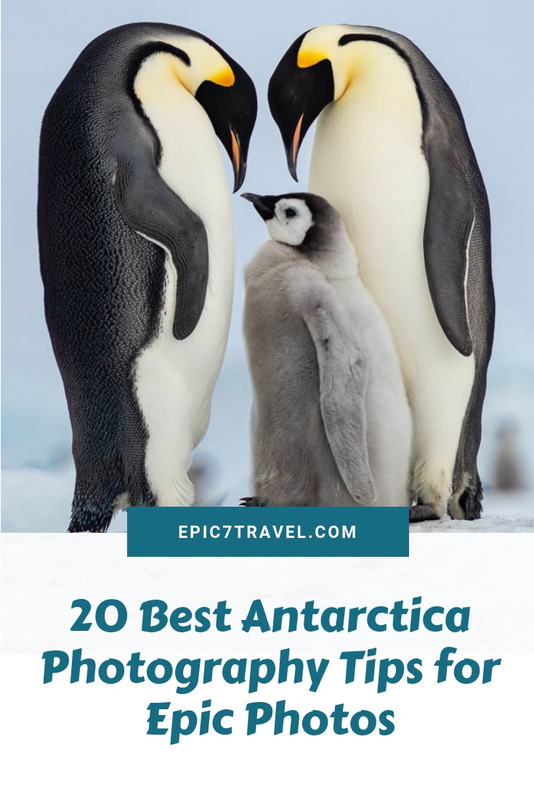 I’d love to hear which of these Antarctica photography tips you found most helpful in the comments below. Such an in-depth and fantastic read! Thank you for sharing how you captured all of those lovely photos! Sheridan, I’m so glad you enjoyed the tips as well as the photos. We learned a lot during the two trips that I’m excited we could share with others! 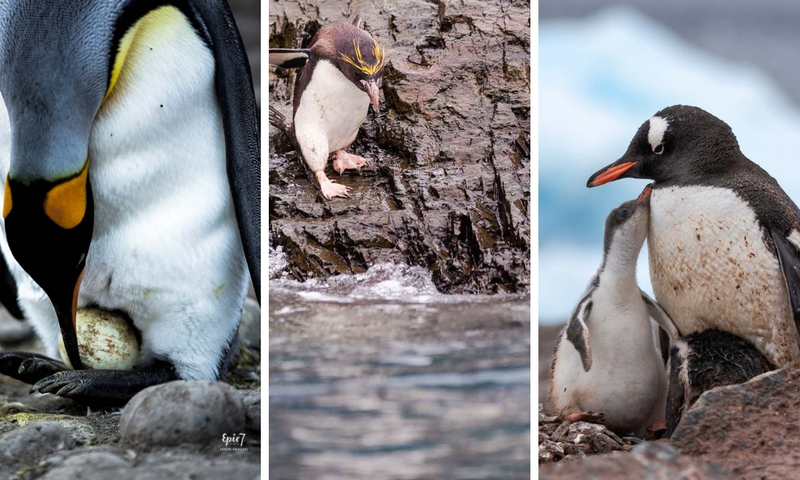 These are stunning photos, especially the one of the penguin family! And great tips as well.. 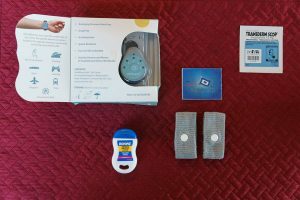 Many of them can be used at any location and I love the one about memory cards. I’m always afraid of running out when I’m shooting. Thanks so much, Dee. The family photo is one of our most beloved memories, so we are delighted that you like them as well. So true about the tips being applicable for most any location. We are always so paranoid about running out of memory that we’ve learned to travel with lots of extra and back up daily. My GoPro ended up being accidentally dropped overboard and lost a few days into our recent scuba diving trip in Raja Ampat, Indonesia. However, since Jason had downloaded all of the Whaleshark videos the night before, we were incredibly relieved to still have the memories despite the mishap. 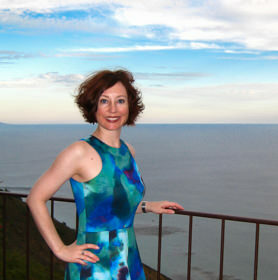 Marielena and Jason, I so enjoy reading your posts about your travels. They are super inspiring and I hope to try out some of these ideas for diving. I got interested in learning to dive because of your content. Many thanks and please keep sharing. We are so happy you enjoy the content we share, Rare. And, we are absolutely delighted that our imagery and stories have also inspired you to learn to dive. It’s a magical world underwater. I find it incredibly meditative to float weightlessly and admire Mother Nature’s works of art. We can’t wait to hear about your diving adventures.